It goes without saying that keeping washrooms clean is a prerequisite for establishment of a healthy work environment. However, keeping them eco-clean is a fairly new concept which still hasn’t completely caught up in the business world. The basic difference between these two types of cleanliness is that a washroom which is eco-clean not only looks clean, but also guarantees that germs are present in minimal quantities. The companies which decide to go eco-clean soon feel the benefits of this approach. They are best reflected in a healthier work environment which prevents spreading of contagious diseases. Keeping washrooms eco-clean is a difficult endeavor, one which requires dedication and time. 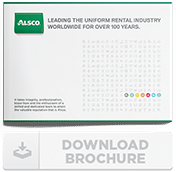 This is why companies usually decide to use services of companies such as Alsco, which specialize in providing these services to businesses. How Dirty Can A Toilet Be? You might wonder if it is really all that bad, what with the fact that you have probably used thousands of washrooms and public toilets in your time, and perhaps have never gotten ill.
Well, it is a bit of a lottery who will be affected, but research has confirmed time and time again the health issues that exist – not least flu, ecoli and gastroenteritis, and even hepatitis A. So, we’ve put together a short list of the type of issues that must be addressed if a washroom really can be considered eco-clean. From proper refuse disposal to guarding against cross contamination, these are essential key steps. The problem of odours in a washroom is something that we are conscious of. You know that dank, sickly-sweet smell that can greet us? Well, more often than not, the smell is caused by a buildup of uric acid crystals on urinals and toilet bowels. Bacteria thrive in these crystals, so that ‘urine smell’ is a sure sign of poor hygiene standards. The logical answer to the problem is to install automated air freshener dispensers – CFC free, of course! But these generally just cover the problem. Sanitisers are much more effective, cleaning the surface of the urinals and toilets to prevent the buildup of uric acid. Disposing of used paper towels and other similar trash is usually regulated by placing a bin in a visible place. However, if bins are not big enough and it happens that they overflow with refuse, the entire washroom is at risk of contamination. Choosing the right size is therefore very important. You can either decide not to risk anything and buy very large bins, or, in case you don’t have enough space in the washroom, you can put a regular size bin and then monitor the situation for a couple of weeks. This way you will be able to see if you need to look for a better solution. Women’s washrooms are a different story. Here you shouldn’t really place only one bin – additional things such as sanitary napkin disposal units are a great idea, because they enable safe disposal of potentially contaminating material. These units are designed with environment in mind, they consist of biodegradable parts and also provide odour control. Of course, a key part of keeping your office washroom eco-clean is the prevention of cross contamination, something that is chiefly responsible for the spread of illness in the workplace. Secondly, when we touch taps, sinks that are contaminated – in fact, research suggests sinks are the least hygienic areas. The best way to battle these are to have the washroom regularly cleaned. Urinal and toilet sanitisers kills bacteria in the air, but Alsco also provides hand sanitisers for staff to wash their hands with. Finally, you could replace hot air hand dryers with cloth towel dispensers, with studies showing they isolate bacteria within the dispenser. An eco-clean washroom will make both your employees and your clients (particularly if you are in the hospitality industry) happier and healthier. A washroom which smells fresh will also help a lot in improving your overall image. Alsco’s air fresheners are designed to do just this. They are programmed to keep your washroom smelling great all the time. If you have additional questions on how to keep your washroom perfectly clean, Alsco’s experts will be more than ready to assist you. Contact us now! ‘A comparative study of different hand-drying methods: continuous roller towel, paper towel, warm air dryer’ K Redway and S Fawdar, School of Biosciences, University of Westminster, London.